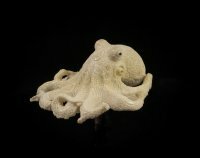 Intricately Carved Large Moose Antler Octopus [CARVocto-02] : Fossils Online, Welcome! 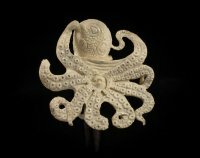 It boggles my mind the time and skill it takes to carve something as intricate as these intertwined octopus tentacles. 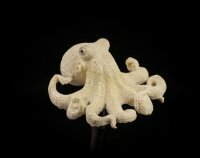 This is carved from fossil walrus tusk. 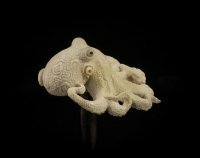 Carved in Bali, these artisans show amazing skill in their carving ability. I was so impressed, that I had to buy some to share. This measures about 3 inches in diameter.